‘Kiraak Telugu Comedy Show’, is an ultimate entertainment show which has been designed exclusively for online viewers. Launched on Independence Day, this hilarious comedy show has successfully completed ten episodes and is getting overwhelming response from the audience. This one of a kind stress buster show is hosted by the beautiful Anasuya, and the highly energetic Ravi and features noted comedians from TV and film world. 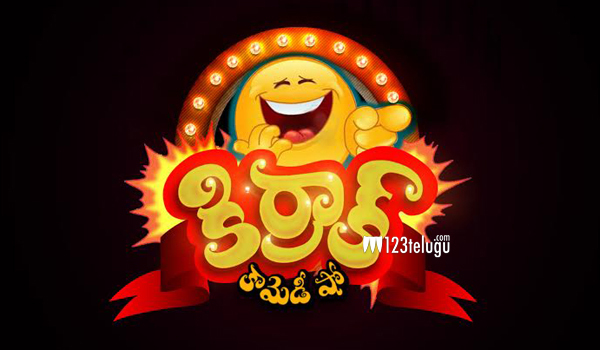 Kiraak Comedy Show is produced by Mallemaala Entertainments which has early produced award winning films like ‘Arundhati’ and successful TV shows such as Jabardasth, Dhee, Adhurs, Cash among others. The 11th episode of this comedy series ‘Touch Babu (underscorenalipestha@kiraak.com)’ has now gone live on You Tube. This skit is performed by Raghava and his team The acts of Raghava as the hilarious baba provide you unlimited fun.